Changes in the environment due to global warming and extreme weather conditions is making it difficult to protect themselves from the excruciating summer heat. Every living organism present on earth are trying to protect themselves from effects of excessive heat. If you want to protect yourself from the effect of excessive heat and keep yourself cool then you can adopt following Ingenious ways. 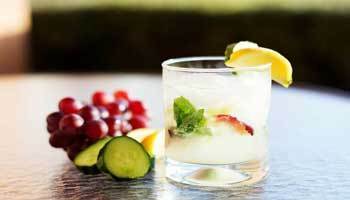 During summer everyone feels very thirsty and sweat excessively, even though sweating is beneficial because it helps in removing unwanted substance created in our body but sometimes, useful substances are also exuded via sweat which makes the body physically weak and that’s why to maintain their energy level, one must keep a check on their food habits. 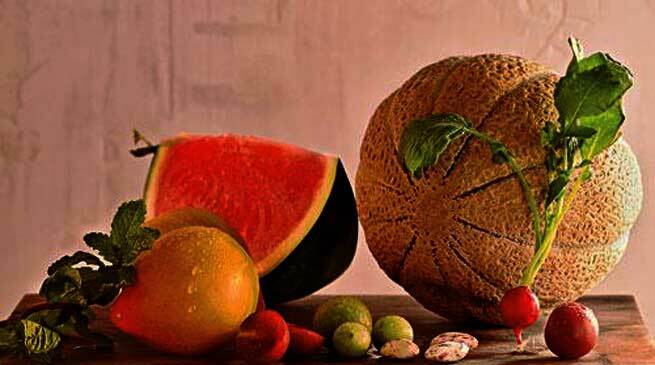 Fruits which contain more amount of water should be actively consumed. Here, we are going to discuss such food products that are beneficial to beat the heat this summer. Watermelon- From centuries, the favourite fruit of children and young people has been watermelon which gives keeps the body cool and keeps away from the bad affect of heat. Nearly90 % of Watermelon is water and this helps the human body to fight against the shortage of water. Watermelon also contains vitamin A and vitamin C which is very useful for protecting against cancer and heart diseases. 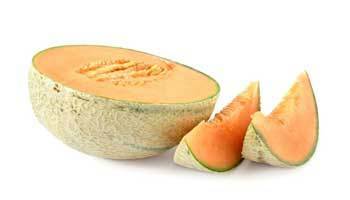 Muskmelon- Muskmelon which contains plenty of water, helps to protect against dehydration. Due to its low calorie and high potassium content, it also helps in reducing weight. Sour fruits- Sour fruits like malta, grapes and lemonhelp keep our body cool during summers. Besides being tasteful, they help in keeping the body healthy and young. Sour fruits also help in improving digestion. Besides fruits certain vegetables also have cooling effect are useful for human body. Vegetables like Cucumber, carrots, mint etc help maintain body temperature during summers due to their high water content.